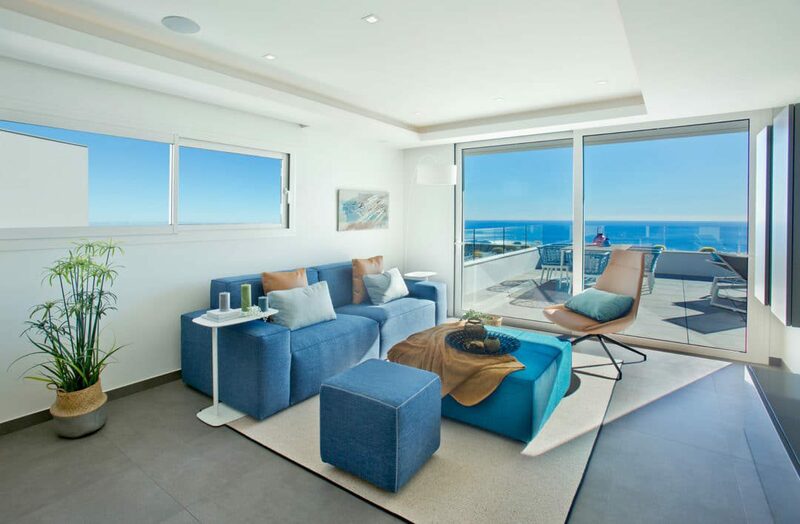 Phase A of the Blue Infinity luxury apartments has already welcomed 27 families to Cumbre del Sol. There are only three left! The new owners are now not only enjoying some exclusive homes with incredible views of the Mediterranean, they can take advantage of the wonderful weather to have a dip in the pool! The communal areas are now complete. The rectangular shape and infinity style of the outdoor pool make it perfect for enjoying the great views from Blue Infinity as you take a relaxing swim or cool off after some exercise in the gym. However, the pool is not the only option if you want to switch off and de-stress. The first new neighbours at Blue Infinity, in the Cumbre del Sol Residential Resort, have also had the chance to try the full Wellness Area which offers a jacuzzi, sauna, Turkish Bath… and sea views! The hot summer weather is the perfect excuse for a swim in the outdoor pool, but when the temperatures drop a little, the heated pool will be a welcome option. At the moment, we have three available turnkey homes from Phase A, from €463,000. All the apartments are of an exceptional quality: modern and elegant spaces in which white is the dominant colour, accompanied by Nogal flooring, bamboo panels, and wall cladding. If we’re on the subject of quality, we can’t forget to mention that of the bathrooms and kitchen. The two beautiful bathrooms in your Blue Infinity apartment are fitted with Krion furniture which you can design to suit you. Furthermore, the kitchen features high-quality brands: Inalco, Grohe, Mosso, and Duravit. There won’t be a dish you can’t master! In addition to the two bathrooms and the kitchen, your luxury apartment will have two or three bedrooms and a living room of 220m2. You will also benefit from a fantastic location overlooking the Mediterranean in the natural surroundings of Benitachell, between Javea and Moraira (Alicante). 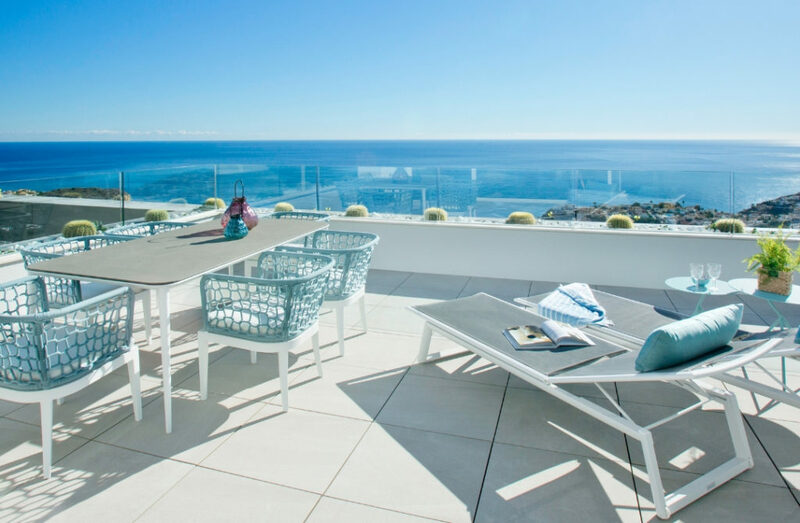 Average temperatures remain high on the Alicante coast throughout the year, the sunlight will fill your home and your terrace, and you will be able to delight in the impressive views of the sea every day. Meanwhile, work on Blue Infinity Block B is advancing perfectly. The building is now taking shape and will offer new features such as a pre-installed electric charging point in all parking spaces. Don’t miss the chance to find your new home! Request further information at this link and start dreaming of your luxury apartment in Cumbre del Sol!